On January 27, 2017, the very first cmd+f newsletter was sent out to 12 very wonderful friends via Tinyletter. I initially started it as a new means to share music with friends in a central, organized forum, and as an easy place to document all of the new music I was consuming. It also turned into something I looked forward to writing every week after spending a year of writing empty news bites, elbowing my way through an arms race of publishing passionless content. Throughout this past year, I trialed a mini radio show through Anchor.FM, and expanded the newsletter into a full on website. I found meaning in this project through the cmd+vent advent calendar in December: understanding ways music brings joy into our lives. (Nearly) one year later, this project is still kicking. I’m so pleased to have finally established an outlet that aims to highlight the pure joy I take out of my devotion for discovering new music. The act of sharing new music and simply discussing music brings me so much personal fulfillment. The act of putting together cmd+f’s weekly letter alone is deeply satisfying to me. I’ve been vaguely hinting on expanding cmd+f over the past few months, and that next step is a Mighty Big Leap. When the time does come, I hope you’ll take that jump with me. 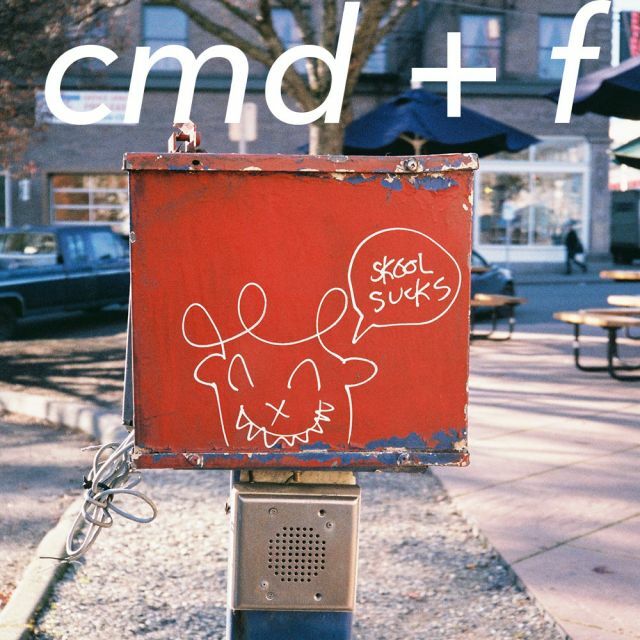 For now, happy birthday cmd+f!! So, I’ve rebranded the BONUS section to the freshly titled New Music Friday Selects. It’s more fitting, as a bulk of the bonus content highlights contain the most anticipated releases of the week, surprise releases, and the occasional status update of a new release by a cmd+f alum! Before you hit that section up, it’s time to check out five smashing tunes by emerging artists! Remember: if you like what you hear, spread the cheer.